Hi All, a friend of mine has just started collecting coins so I am helping him set up his shop on Bidorbuy and also have won some items for him. He won a Mint Of Norway Gold Plated coin recently and here starts the confusion. 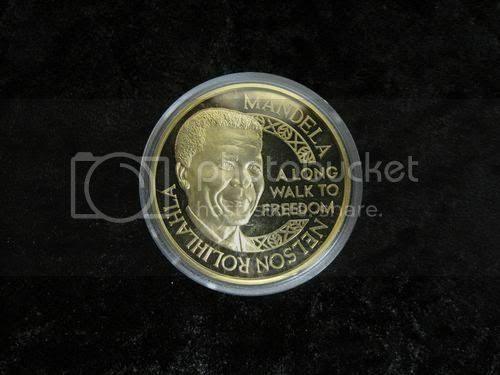 It is the Nelson mandela Mandela Medallion (A LONG WALK TO FREEDOM) PROOF coin. He has done a lot of research on the coin and has found that it only comes in Solid Gold or Silver (No gold plated). 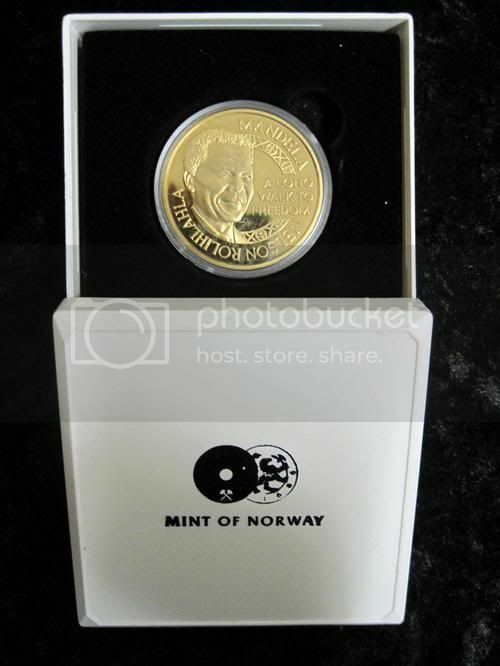 The coin was sold as gold plated silver but the Mint Of Norway never made on of that spec. 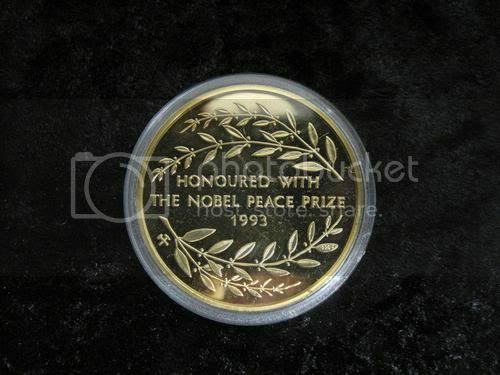 It did not come with a certificate but in a Mint of Norway Box and capsule. On one of the leaves on the bottom wreath it says 925s - These do not show on the actual (@% silver ones that they brought out. At the bottom of Mandelas collar there is the letter "A"
Even Scoin shop is baffled. It weighs exactly 1.193 Ounces. Can anybody shed some light on this coin and its value? All responces would be much appreciated.